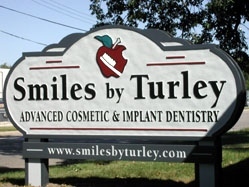 Dr. Brian T. S. Turley provides his patients with the ultimate in family, cosmetic and implant dentistry. You know that your smile affects all areas of your life, your self-confidence, and your appearance. A beautiful smile is a reflection of you. If you are looking for healthy teeth and gums, a naturally beautiful smile, plus advanced knowledge and care, then you should talk to us. Our patients are our most important gift, and we strive to develop long-lasting, trusting relationships. Referrals are welcome and appreciated. Call our Jefferson Dental office today at (920) 674-9567 for a complimentary consultation. Capture the natural beauty of your smile!